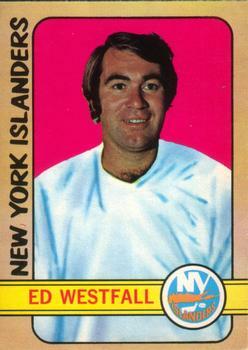 42 years ago tonight (1972): The Isles have also played only once at home on this date, but it was memorable. It was the first game in franchise history, and the Isles dropped a 3-2 decision to the Atlanta Flames. 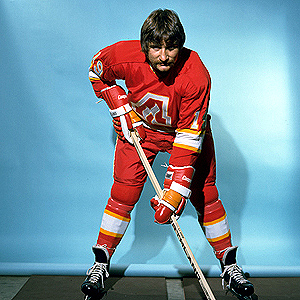 Morris Stefaniw scored the first regular season goal in Coliseum history, beating Gerry Desjardins; it was a first period shorthanded tally that briefly made Stefaniw the leading goal scorer in Flames history. It was also the only NHL goal of his career. Islander Captain Ed Westfall tied the game at 19:29 of the second period but Atlanta scored twice in less than a minute early in the third to take control of the game. Rookie Billy Harris scored the other Islander goal, deflecting home a Jim Mair shot with 3:09 to play. Rookie Dave Hudson assisted on both Islander goals, who outshot the Flames 23-22. Phil Myre recorded the win in nets for Atlanta. John Jeansonne, who still periodically covers Islanders games for Newsday, wrote the game story on Opening Night, quoting NHL President Clarence Campbell in saying the Coliseum is “a magnificent place to watch hockey” and the “sight lines here are perfect”. All-time, the Isles played just that one October 7th game at the Coliseum, and finish with a 0-1-0 record on this date at 1255 Hempstead Turnpike in Uniondale.